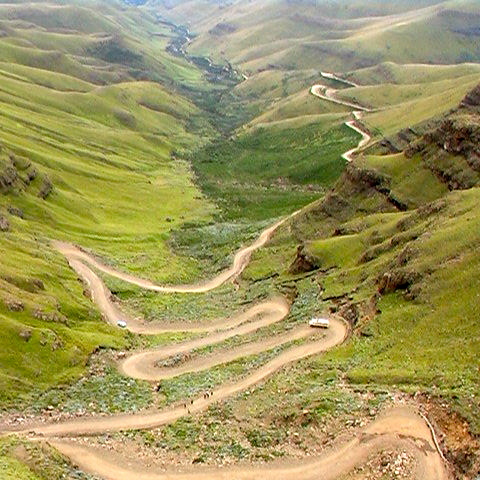 The Southern Drakensberg. Majestic, powerful, clear, beautiful. An adventure. Come and join us for long walks through the mountain paths to pools filled with crystal clear water, long-forgotten caves decorated with paintings – a relic from bushmen of previous eras. Enjoy the clean fresh air, the beautiful sun as it sets over the mountains, fall asleep to the sound of the Polela river gently running by. Relax and treat yourself to our famous chocolate cake on the deck, or curl up with a good book by the fire after a long day’s work. The mountains are a way of life, not just a holiday. arts, sports, community, health, care, teaching and farming programs. Share your skills and help others in the Ukhahlamba area. Moving on as we are, this does mean that there are going to be many new opportunities popping up for you, and any other interested and interesting individuals to join us and help with our #globaldev aims. We are going to be focussing our Drakensberg programmes on women, OVCs (that’s orphans and vulnerable children) and skill development for income generating activities, along with the inevitable HIV/AIDS care, education and prevention. From December 2013 we will be offering the opportunity to join our community development initiative. This will be a programme that is predominantly funded by international grants anruns such is able to run throughout the year. It is centred on a group of women who we are training to participate in the mohair initiative which is a fibre production business run by our new partner company:river croft cottage. Women are trained to process angora wool (mohair) and their children along with any others in need from the local community are provided with daycare and basic education a the adjacent crèche. Volunteers will, along with skills development initiatives, HIV/Aids education and child care join in with practical work and teaching at the local government primary school. During the months of February and June 2014, we will be running our sports initiative. This is such fun and so rewarding- within a detailed weekly timetable, volunteers teach soccer, rugby, cricket, swimming, wellbeing, yoga and heaps more to different sectors of the community. We also promote healthy living and nutritious eating with AIDS during this program. In August 2014 we are running the best program ever (or so I think.. and Bean agrees with me) the arts initiative is back! This time with workshops run by acclaimed British artist Gill Robinson, a creative block installation, and sketchbook creation to empower rural women through creativity. Watch this space! This could be the best opportunity you have ever had… if youlike art. And as usual, health based projects, opportunities for schools and university groups, sports teams and heaps heaps more! We’ll keep you updated as the plans (hopefully) come together, and we really hope to see you here in the little Berg, where the air is clean, the landscape never ending and the people (4 legged and 2) friendly and interesting. Watch this space for updates! What a long time it has been since my last blog post. May 2013. That’s 4 months past. We have been manic – trying to desperately achieve as much as possible during the very busy northern hemisphere holiday season, when students flock to South Africa for sunshine and to help out where they can. We have run a sports project, community project and medical placement, with lots of achievements including building a volleyball court at Monzi P, smallholding at the Zwenalisha orphanage, teaching, creche help, painting and heaps more. There are just 2 weeks left until the last volunteers for this period depart, then Bean, Bali, Princess Mitsles and myself depart for the Drakensberg Mountains. The start of a new chapter and a new adventure. Our experience working with communities in the St Lucia Estuary area has been varied and interesting, we have made many friends and had our eyes opened to a great deal of new ideas. However, we are now going to be concentrating our efforts for this program on a once-a-year intensive help session, which will help (and test how) the creches run more sustainably, by women from the communities they serve. It will also mean that the two orphanages that we work with receive an intensive burst of help (and financial contributions) once a year, when we assist with painting, building, maintenance and the purchase of necessary items. It will also mean that we, as an organisation are liberated from the constraints that have been imposed upon us through working day in, day out, with a faith based organisation (more on my perhaps rather controversial views on this topic in a blog post for another day). After a year of this, we will run a full evaluation, send the usual culprits on training courses, gain funding and grants to extend the programs sustainably and learn from mistakes made to move into a more successful year. After a five year plan of working in this way, we will hopefully have achieved our end goal – the production of a sustainable community based and community run organisation that helps many and consists of local people who are there to help and be helped by each other. We are heading up in altitude, into the Southern Drakensberg Mountains, to run our mohair initiative and related programs. Bali and Princess Mitsles will need Ugg boots, and Bean and I will huddle around our newly-purchased aga, looking out into the beauty of mountain winter. Until summer returns and we will bask in the bright sunshine reflected by the many beautiful rivers and lakes, ride through the majestic mountain range and live each day in the fresh mountain air. We have started an NPO called sizabantu to work in collaboration with Mozvolunteers so that we can more successfully fund initiatives, monitor and evaluate our progress (both internally and externally) and move onwards and upwards in the place of all our hearts: the Drakensberg.